Privacy-centric cryptocurrency Monero hard forked to version 12 of its protocol yesterday. But not everyone is on board. Following the example once set by Ethereum Classic, some users are continuing on the pre-hard fork Monero blockchain… though in this case not as a single project. 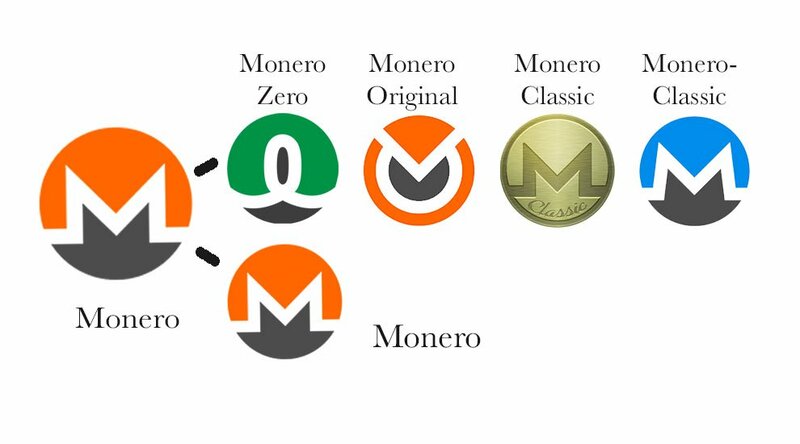 Now there is Monero Classic (XMC), Monero 0 (XMZ), Monero Original (XMO) and a second project by the name Monero Classic (XMC) (which in this article we will refer to as Monero-Classic); these are all continuing on version 11 of the Monero protocol. Of course, this means they are all still compatible on a single network, using the same coin — just with different names. Here’s the story of the pre-hard fork Monero blockchain and the four different projects keeping it alive. As an ongoing protocol upgrade process, Monero has made a habit of hard forking once every six months. The latest hard fork introduced several new features, including an increased ring-size for more private but also bigger (thus more resource-intensive) transactions, multi-signature transactions, initial Ledger Nano S hardware wallet support, and more. The latest hard fork also introduced a tweak to Monero’s CryptoNight proof-of-work hashing algorithm. This backwards-incompatible change makes all existing ASIC (application-specific integrated circuit) mining hardware useless. Such specialized hardware is a bigger concern on the CryptoNight hashing algorithm than most other hashing algorithms, as it could let ASIC miners launch denial-of-service (DoS) attacks on non-ASIC miners and non-mining nodes on the network. 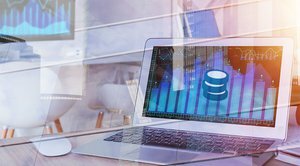 The risks presented by ASIC-mining hardware appeared to be reason why at least most of Monero’s development and user community agreed on the change. However, not all parties were equally happy with the hard fork, presumably. Most notably, major hardware manufacturer Bitmain, as well as smaller manufacturers Halong Mining and PinIdea, recently all announced that they had developed ASIC machines for the CryptoNight hashing algorithm (and such hardware was probably used to mine on the Monero blockchain in secret). All this hardware would be rendered mostly worthless after Monero’s hard fork. Now, over the past couple of days and weeks, four projects have announced that they will continue to use the pre-hard fork Monero protocol. Since all four are using the same protocol, they are (at least as far as we can tell) really all the same network and coin, albeit with different names and logos. These are the four new projects continuing the pre-hard fork Monero blockchain. 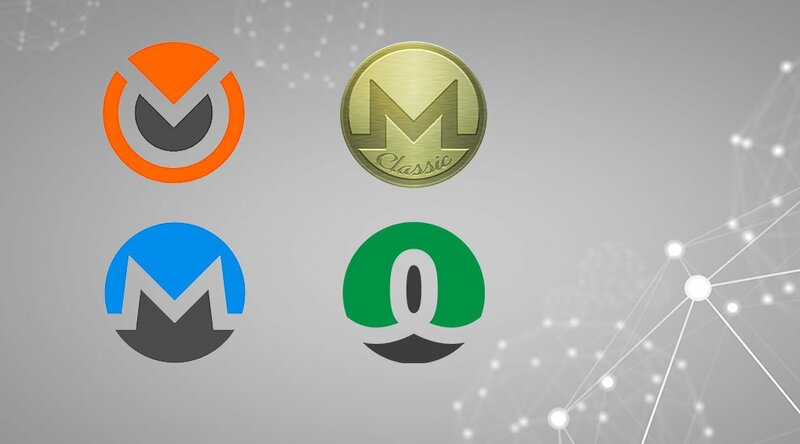 This first, Monero Classic, is initiated by a group that self-identifies as Monero enthusiasts from Singapore — including developers and “a few” miners — who felt it was “time to take action.” Speaking to Bitcoin Magazine, representative Bento Tan explained that he believes that the development of ASICs is a healthy, market-driven process. Tan added that he considers this healthy market dynamic to be confirmed by the fact there are three different manufacturers to have created ASICs — not just one. Monero Classic has no connections with any of the other new Monero projects, Tan said, and has no plans to cooperate with them. Not unlike (the other) Monero Classic, PZ explains on this website that “the emergence of specialized mining machine[s] for a cryptocurrency is [a] normal market economy phenomenon.” Additionally, PZ argues that “if there are professional mining machines, the events like ‘Monero was attacked by more than 500,000 botnets’ could be avoided,” referring to botnets that have been used to mine Monero. Since the project seems to have originated from China, is actively promoted by Bitmain’s mining pool AntPool, and of course because Bitmain has much to gain from a continuation of Monero with the CryptoNight hash algorithm, some suspect that this ASIC hardware manufacturer has a hand in this project, too. However, when asked by Bitcoin Magazine, a Bitmain representative suggested this was not the case. Bitcoin Magazine was unable to get in contact with PZ or anyone else from the Monero-Classic project by time of publication. Speaking with Bitcoin Magazine, a pseudonymous spokesperson for Monero 0 identified the group as one of “concerned users” and "proof-of-work maximalists,” some of whom operate hobby operations for mining. The Monero 0 spokesperson further said that Monero is "an NVDA project", that “‘proof of fork’ is not a consensus method,” and that “Bitmain is trying to destroy Monero” — but did not have time to explain more. Not much is known about Monero Original or the people behind it. 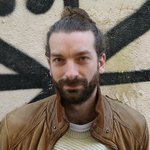 “Monero has always been about freedom of choice, about diversity and about the strong community behind it. We are providing the Monero fans [with] a possibility to support the iconic coin and stay on the original chain. Monero Original team stands for diversity, which is a logical marker of evolution. We are excited to see our favourite coin mature, and we are even more excited to help [in] keeping this diversity." At least one cryptocurrency exchange — HitBTC — indicated it would make XMO balances available to all XMR holders at the time of the hard fork. This does not necessarily mean that HitBTC will also offer XMO trading, but it does make it more likely they will. Bitcoin Magazine reached out to the Monero Original project but did not receive any response by the time of publication. So far, it appears that both the new Monero blockchain and the pre-hard fork blockchain are being mined. Most hash power is still on the pre-hard fork blockchain, and both are supported by less hash power than they were before the hard fork. This means that blocks are being found more slowly, in particular on the new Monero blockchain, but this situation should stabilize within days. Assuming that at least one of the four new projects succeeds in keeping the pre-hard fork Monero blockchain running (and assuming the new Monero blockchain keeps running too), this could lead to some complications. For one, the Monero hard fork did not implement replay protection. This could mean that users who spend XMR on the new Monero blockchain could unintentionally spend the equivalent coins on the pre-hard fork blockchain, and vice versa. Thanks to other changes on the new Monero protocol, this risk appears limited for users of the pre-hard fork blockchain, however. The default transactions they make will be considered invalid on the new Monero protocol. But users of the new Monero blockchain do not have that same luck. If they want to keep their pre-hard fork coins, they should move these before they move their XMR, and do so with the default ring-size of five (or six). Over time, replay attacks should become less likely, even for users that didn’t move their coins. This is because on Monero, mixing coins is a requirement, and the odds that users will mix their coins with coins that are only valid on one chain will increase. Doing so will make the whole transaction invalid on one of both chains. Even users that do not use both chains may suffer from somewhat decreased privacy. If they mix their coins with users who revealed which coins they own, it can reduce the anonymity set of the users that did not. This added risk is probably compensated for on the new Monero protocol by the increased ring-size for transactions, however. Whether the pre-hard fork version of Monero (in the form of the four different projects) will gain and retain any market value of course remains to be seen. Monero lead developer Riccardo Spagni did not respond to a request for comment by the time of publication. Update April 7th: It appears there is a fifth project on the pre-hard fork Monero blockchain: MoneroC. Additionally, trading of XMO has by now commenced on HitBTC. At the time of writing this update, one XMO trades for 0.00175 BTC, which is about $12, or 0.07 XMR, but the price is very volatile. Some minor details were updated in the rest of the article as well. Thanks to Monero community contributor Justin Ehrenhofer for clarifying some of the technical details.